Markings:Talon's tat(on right side). A scar from a bullet on his right bicep and left thigh. Three long scars (running from behind his left shoulder down to his left hip)from deep gashes. Scars line his forearms from when Teagan attack him on her first change. 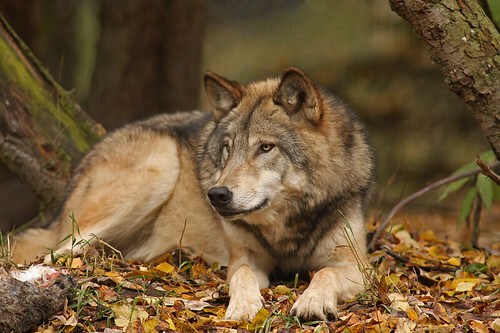 Species Appearance:A large brown wolf with molten amber eyes, the mane around his neck rather bushy along with his tail. He is larger than most male wolves. Weapons/Fighting Training:Talon's Weapon's He uses these which are 8in longer and can connect together at the ends to create a double sided sword, which he keeps in shoulder holsters that rest on his back. (mostly used separate) He also carries a .45 glock along with a belt of throwing knifes. He's good with about any type of weapon. Weakness: Anything dealing with his twin sister.